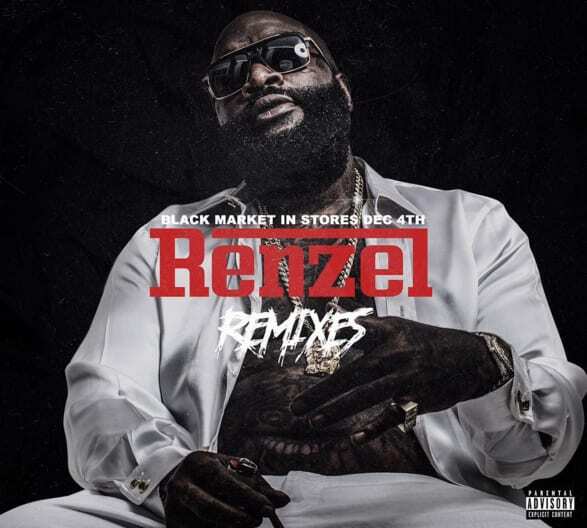 If you haven&apos;t been keeping up with Rick Ross&apos; Black Market album promo you&apos;ve been missing out: there&apos;s been some awesome interviews—Rozay says he&apos;s "one of the biggest" ghostwriters in the game—and he&apos;s been dropping a steady onslaught of unofficial remixes tagged as #RenzelRemixes. Still, it&apos;s not too late to catch up, and you&apos;re in luck as Ross has neatly packaged up all the drops as a full-out mixtape titled....you already know. Look out for Black Market on December 4th and check out the Renzel Remixes mixtape below or right here.